The Civil War was still young in April 1862, and the question of how to restore national unity and confront the divisive specter of slavery remained open. Since the United States’ founding nearly a century earlier, the federal government had made repeated concessions to the Southern slave power in the hopes of maintaining peace and holding the nation together. In the wake of the South’s secession and the onset of war, President Abraham Lincoln and what remained of Congress debated whether they should honor their conciliatory assurances that slavery would be allowed to persist in the spaces it already occupied—or whether they should take action to begin abolishing it. From The Atlantic’s earliest days, its founders came down on the side of abolition. 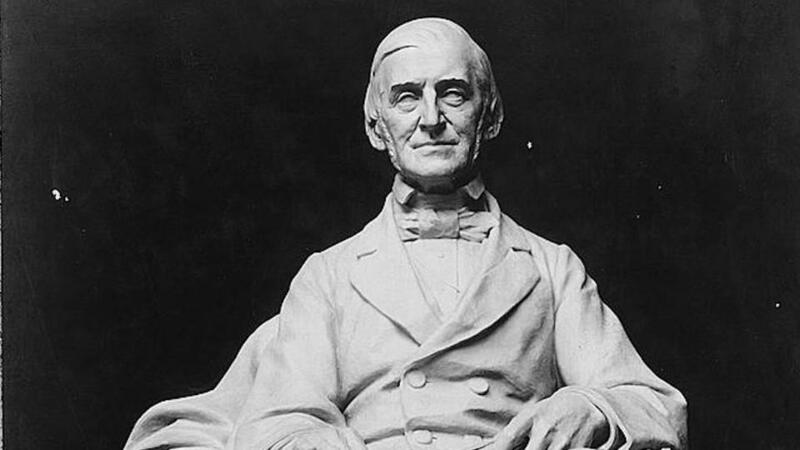 In 1862, our co-founder Ralph Waldo Emerson deplored decades of past compromise with the forces supporting and benefiting from the immoral “destitution” of slavery, and derided lawmakers who would continue down that path. A certain degree of progress from the rudest state in which man is found, — a dweller in caves, or on trees, like an ape, a cannibal, an eater of pounded snails, worms, and offal, — a certain degree of progress from this extreme is called Civilization. It is a vague, complex name, of many degrees. Nobody has attempted a definition. Mr. Guizot, writing a book on the subject, does not. It implies the evolution of a highly organized man, brought to supreme delicacy of sentiment, as in practical power, religion, liberty, sense of honor, and taste. In the hesitation to define what it is, we usually suggest it by negations. A nation that has no clothing, no alphabet, no iron, no marriage, no arts of peace, no abstract thought, we call barbarous. And after many arts are invented or imported, as among the Turks and Moorish nations, it is often a little complaisant to call them civilized.